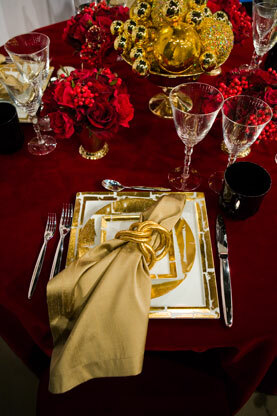 I have decorations from last year with a red and gold color scheme so this tablescape would be perfect if I wanted to reuse what I already have. 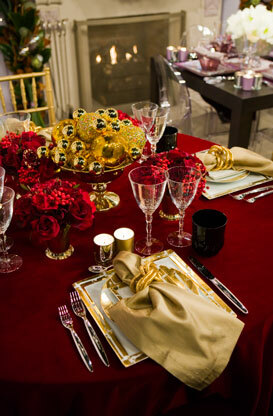 I love the use of ﻿flowers, berries and ornaments all on one table with the colors staying consistent in each piece. A look like this gives me the opportunity to usewhat I already have while still being able to add extra creativity to the table. 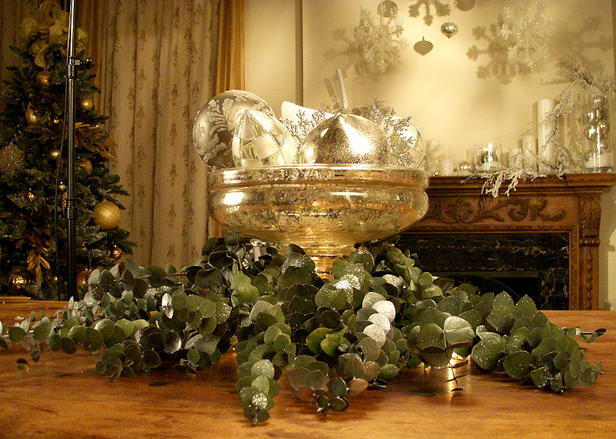 This is certainly more traditional than something I would do on our table top but I love the metallic shine to the centerpiece. This would be especially beautiful with candlelight coming off the garland, vase, and ornaments; it would make the whole thing shine. But I do want to bring more color to the table. Also, look at the mantle in the back. It's absolutely stunning and we'll go through some inspirational home decor pictures tomorrow. This is such a simple but pretty look. The white table cloth makes a blank canvas for the entire look and doesn't take away from the showstopping ornaments hanging down from the chandelier. The seat covers are also so playful but still elegant. 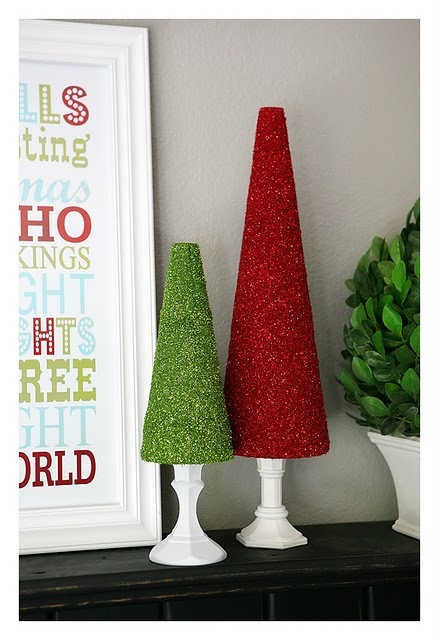 I definitely think I want to add a glitter tree similar to the picture above and I found this great article from Eighteen25 about how to create my own glitter trees. I love adding a DIY project to any decor because I appreciate that piece so much more. 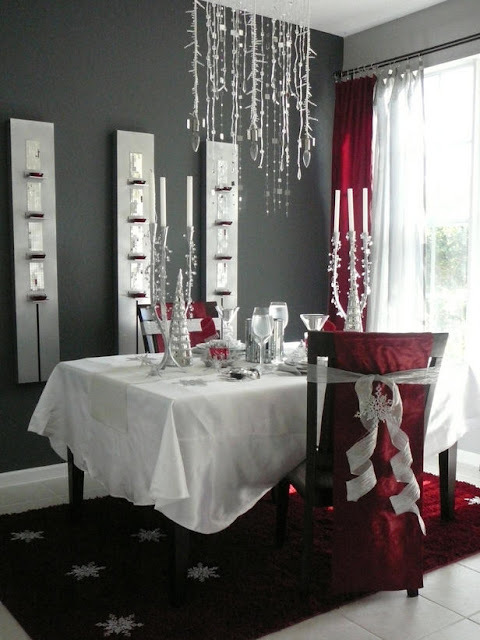 I think I want to bring in a metallic color with the trees so that I can use them for our New Years Eve party as well without looking too Christmassy. 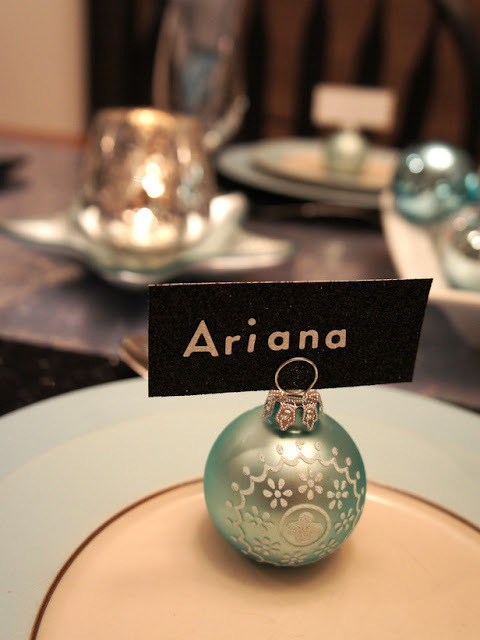 What a cute idea for a placesetting. We're having family over for New Years Eve and I definitely want to incorporate this type of detail into our table this year. Normally I wouldn't do placecards for family because it doesn't make a lot of sense but I think this could add a nice surprise for everyone.